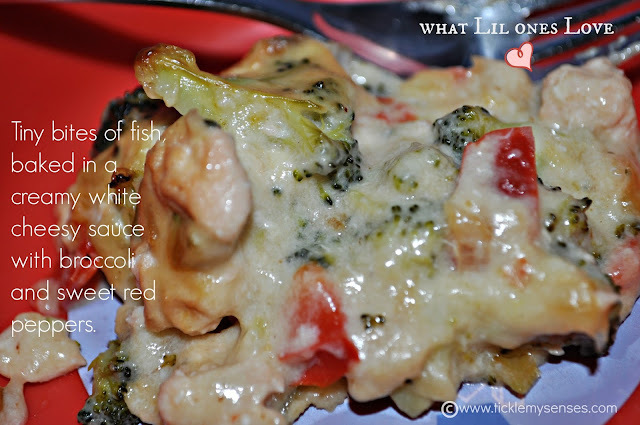 Tickle My Senses: Kids Special: Fish pie with Red peppers and Broccoli. 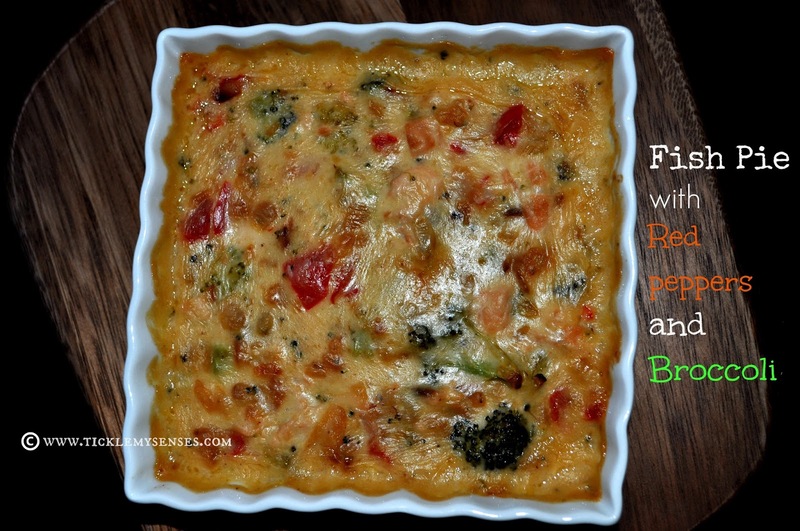 Kids Special: Fish pie with Red peppers and Broccoli. There are 3 ways Baby A enjoys fish. One is fish fry, the second is fish fingers and his favorite by far is Fish Pie. 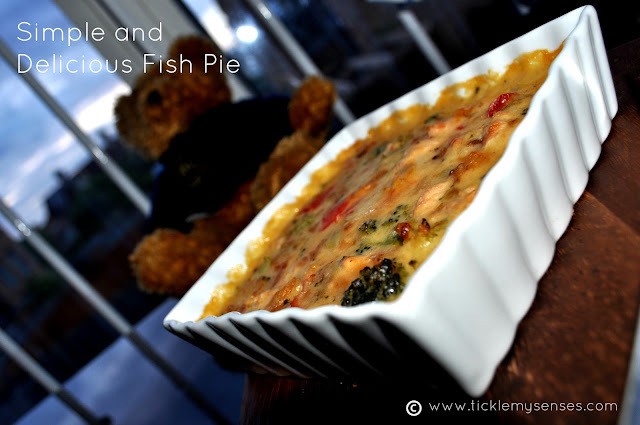 Baby A was first introduced to Fish pie at his nursery. Well I have tried my hand at different fish pies for Baby A, but this one seems to be his favourite. The sweet flavour of the red peppers and the creamy white cheese sauce marries the fish and vegetables wonderfully together, making this dish very palatable. Try it your little one might enjoy it. 1. In a non stick pan take a knob of butter, add garlic fry for 2 minutes on a medium flame till soft, add the onion and fry for 3-4 minutes, then add the pepper and broccoli and continue to fry on a medium heat for 5 minutes tossing every now and then. 2. Add the flour to the fried vegetables and toss to coat all the vegetables. Fry till the flour turns a nice light brown. Add a cup of warm milk to the vegetables and stir gently to allow the flour to dissolve in the milk. Lower the flame and allow the mixture to come to a gentle boil. Add the cubed salmon pieces and stir. After 2 minutes when the sauce appears to be thickening at the sides of the pan and the salmon seems to have turned lighter in colour, add the grated cheese, mix well, taste for salt, adjust, add a pinch of pepper a few drops of lime juice and stir. 3. Pour the mixture into a oven proof dish. Place in a preheated oven at 180C and bake for 10 minutes. Allow the pie to cool down a bit before serving. Yummy pie! Fish pie sounds new to me..looks tempting.